We can retrieve up to 50,000 records. We can retrieve up to 10,000 records. 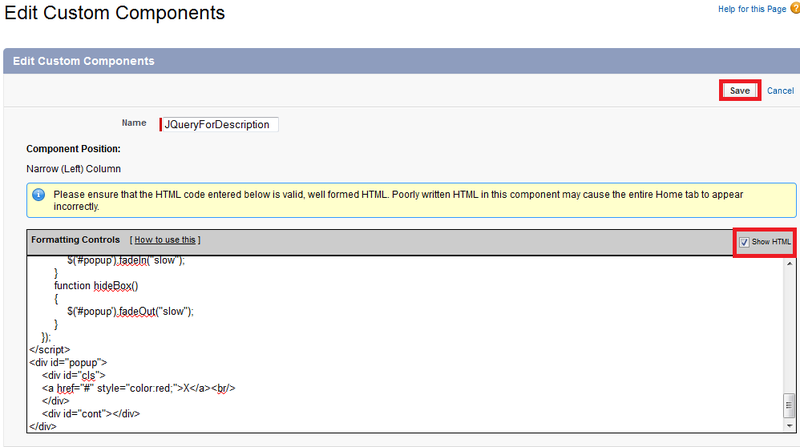 If VF page doesn’t have read only attribute, use Database.query(). 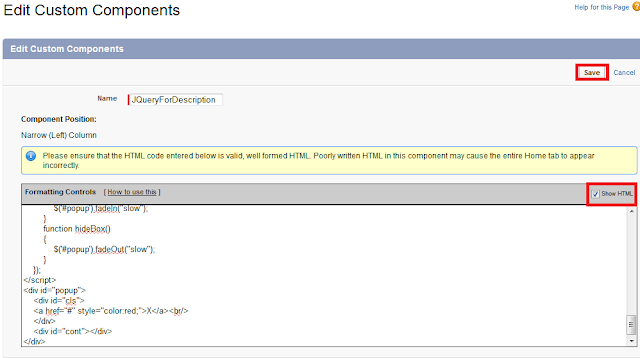 If VF page have read only attribute, use Database.getQueryLocator(). 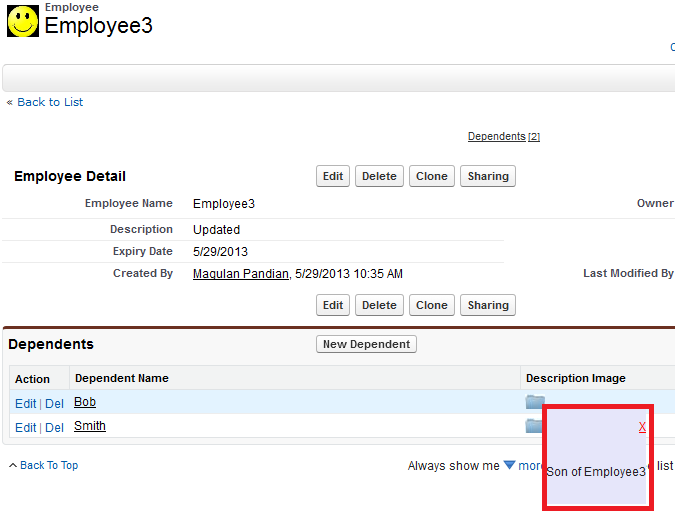 In Batch Apex, if we use Database.query(), it supports 50,000 records only. In Batch Apex, if we use Database.getQueryLocator(), it supports upto 50 million records. If applied CSS is not working, then try to avoid blank spaces in the CSS. 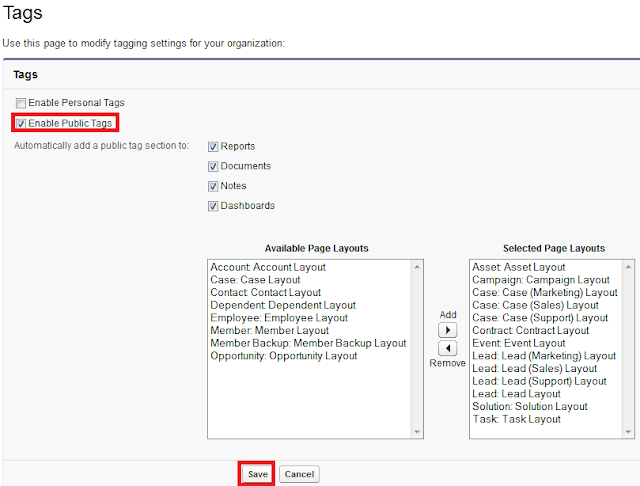 Tags are words or short phrases that you can associate with most Salesforce records to describe and organize their data in a personalized way. Use tags to group records from various objects by a common topic or use, and then use those tags in search to make finding information fast and intuitive. 1. Personal tags are private. Only you can view any personal tags that you add to a record. 2. Public tags are shared among all users in an organization. 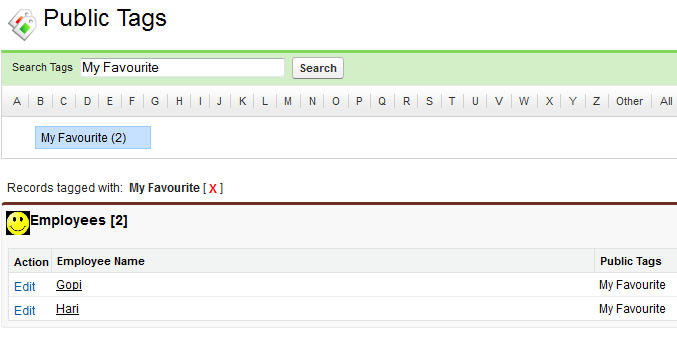 Any user with access to the record can view the public tags that you add. Administrators can enable personal and public tags for accounts, activities, assets, campaigns, cases, contacts, contracts, dashboards, documents, events, leads, notes, opportunities, reports, solutions, tasks and for any custom objects. In order to enable Tags, go to Setup --> Customize --> Tags --> Tag Settings. For Public tags, kindly check Public Tags and for Personal Tags, kindly select Personal Tags. 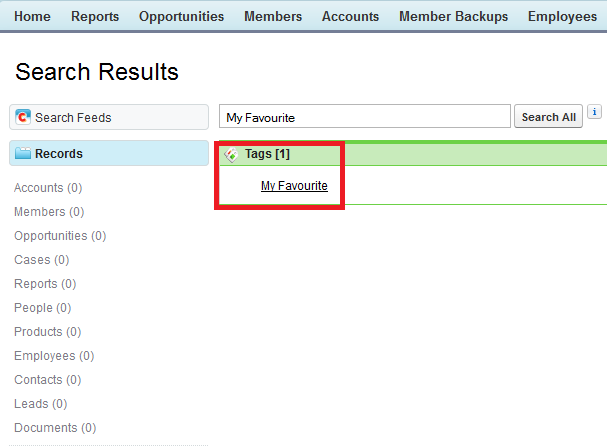 To add, tag to a record, kindly click "Add Tags" button. Give a name to the tag and save it. Search the tag name in the Search bar. 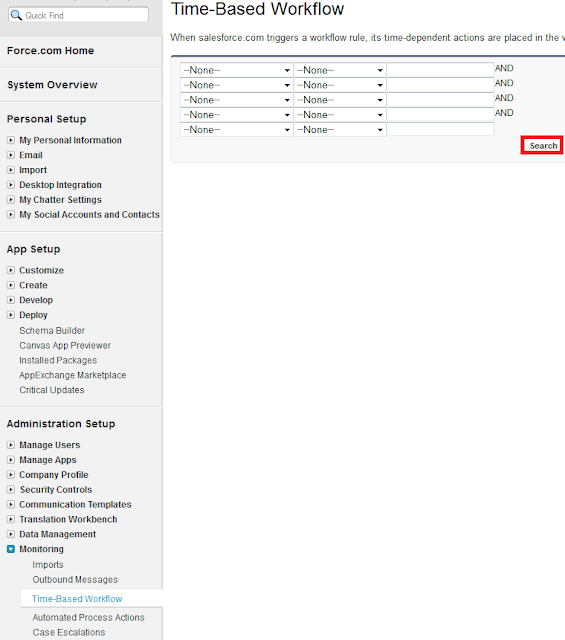 How to add custom button to related list in Salesforce? 1. Create a List Custom button on child object. 2. Go the parent object. 3. Edit the page layout. 4. Go to related list. 6. Select the button to be displayed. 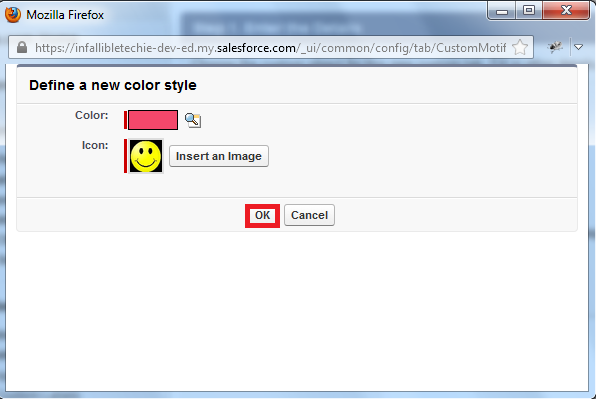 How to create custom tab style in Salesforce? 1. Go to Documents tab. 2. Add a image less than 20kb in size. 3. 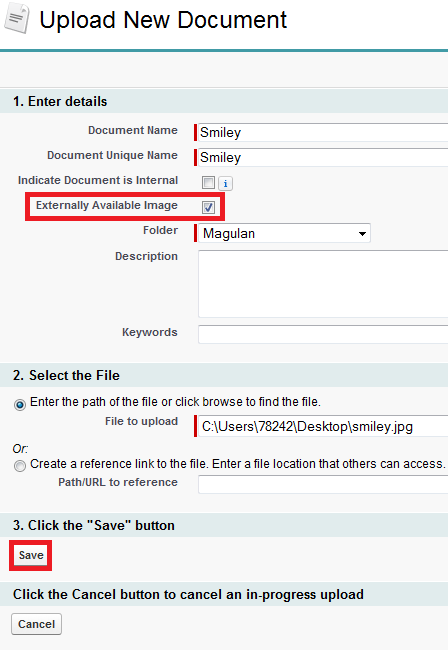 Check "Externally Available Image" checkbox without fail. 4. 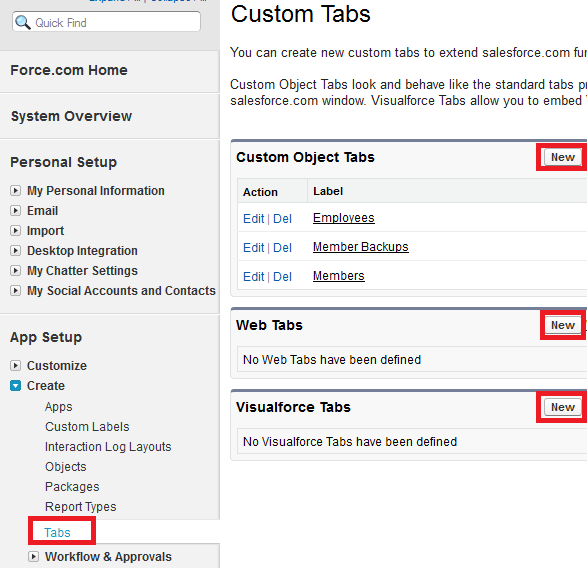 Go to App setu --> Create --> Tabs and click "New" button. 5. 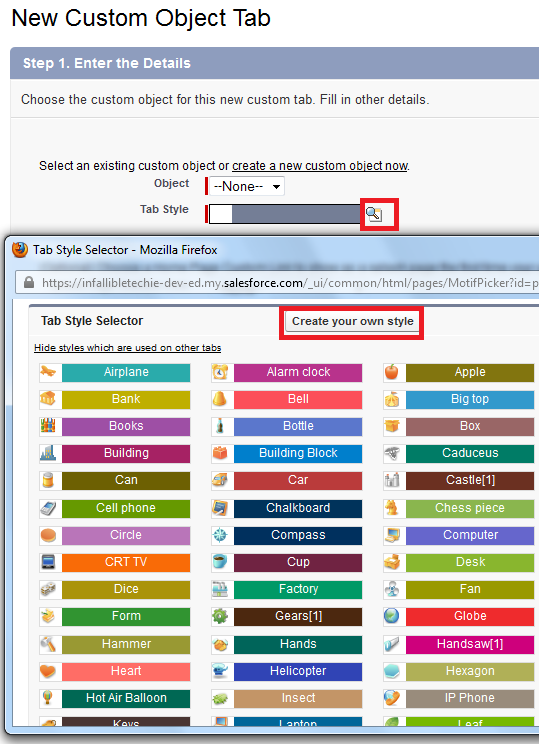 Click the magnifying glass icon next to Tab style and click "Create your own style" button. 6. Select Color and icon from the image stored in Documents. This dialog only lists files in document folders that are under 20 KB and have the Externally Available checkbox selected in the document property settings. 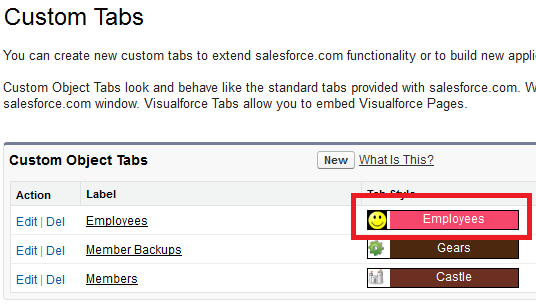 If the document used for the icon is later deleted, Salesforce replaces it with a default multicolor block icon ( ). 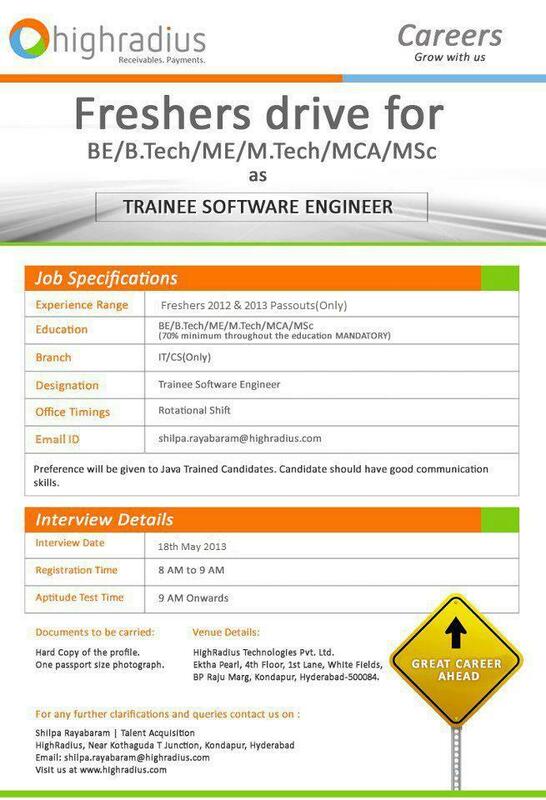 "Connecting Fresh Talent with Right Opportunity"
Venue Details - HighRadius Technologies Pvt. Ltd.
BP Raju Marg, Kondapur, Hyderabad-500084. 1. In Data loader using upsert operation can u do update a record if that record id is already exist in page and if updated that record then can u update 2records with having same id and if not updated 2 records then wat error message is given? It is not possible to update records with same id in a file usin upsert operation. It will throw "duplicate ids found" error. 2. One product cost is 1000. It is stored in invoice so once if change the cost of product to 800 then how can i update it automatically into a invoice? We can achieve this using triggers or through relationship among objects. 3. One company is having some branches and all branches having different departments. So, now I want to display all departments from all branches in a single visualforce page? 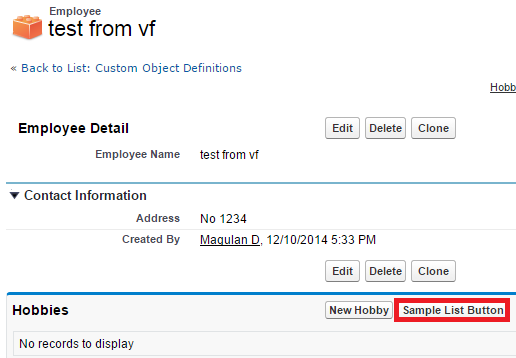 Using subquery we can fetch all the required data and we can display it in VF page. The Summer ‘13 product releases will occur on May 17, 2013, June 7, 2013 and June 14, 2013. As a certified professional, you will be responsible for completing the Summer ‘13 release exam(s) in order to maintain your certification credential(s). 1. Can you please give some information about Implicit and Explicit Invocation of apex? 2. What is apex test execution? 3. 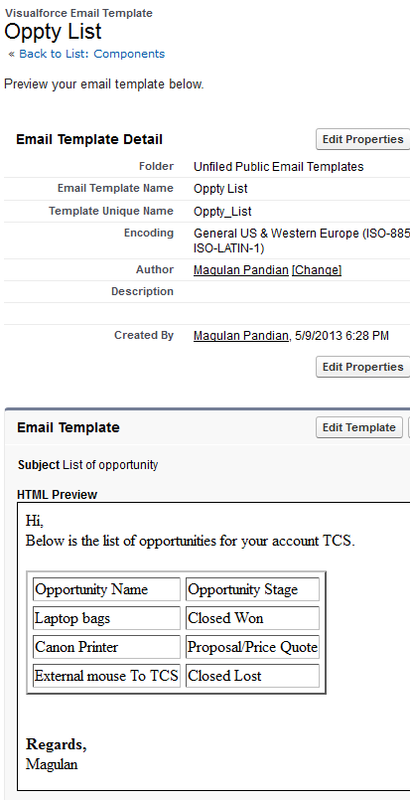 What is meant by email services in salesforce? 5. How can we know few time based workflows has been fired and some more are still need to fire? 6. In an apex invocation how many methods that we can write as future annotations? 7. How can we track which time based wf's are fired and which are in the queue? How can we track which time based workflows are fired and which are in the queue? To track which time based workflows are fired and which are in the queue, kindly go to Setup --> Monitoring -> Time Based Workflow. 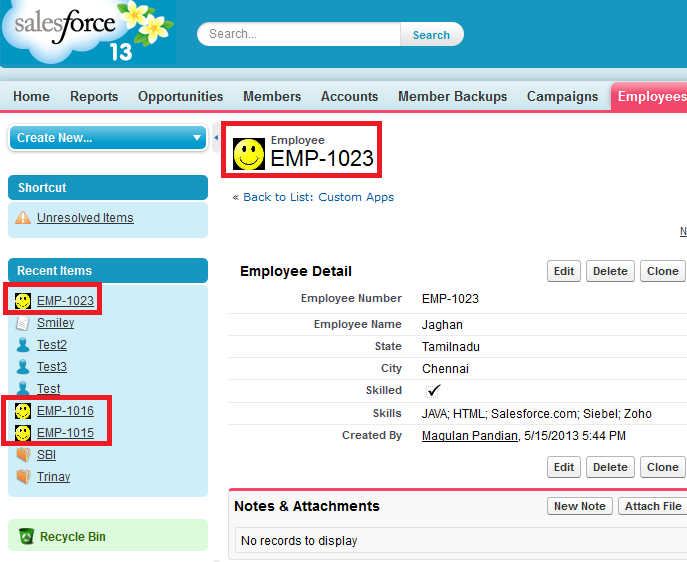 How to find object type from Salesforce record id? Salesforce.com is a cloud computing and social enterprise software-as-a-service (SaaS) provider based in San Francisco. It was founded in March 1999, in part by former Oracle executive Marc Benioff. Cloud computing is a general term for anything that involves delivering hosted services over the Internet. In the software-as-a-service cloud model, the vendor supplies the hardware infrastructure, the software product and interacts with the user through a front-end portal. 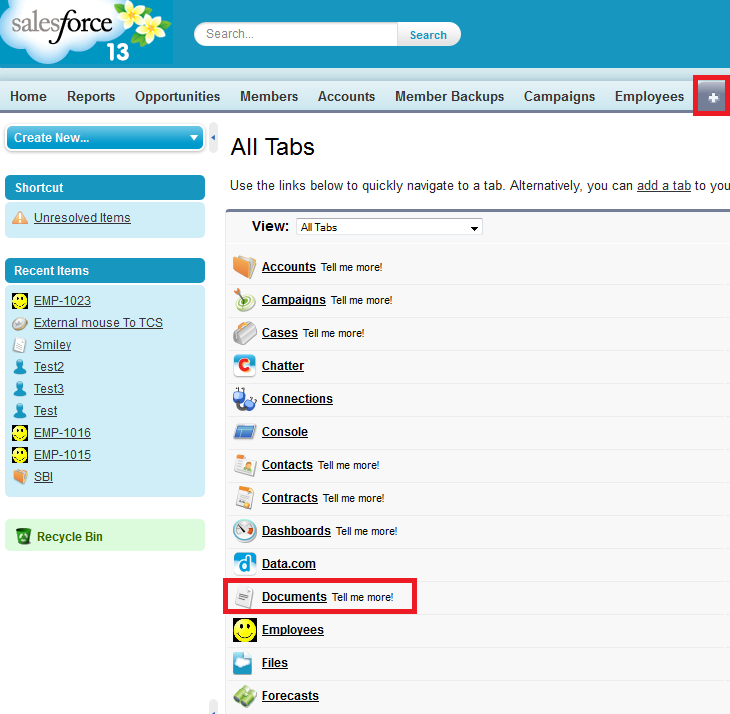 Salesforce.com is a web based CRM tool that helps us to maintain the relationship with the customers. Salesforce.com is a good example for Cloud computing services. Salesforce.com uses Multi tenant architecture. With this option, the rule repeatedly runs every time a record is edited, as long as the record meets the rule criteria. Note: We cannot add time-dependent actions to the rule if you select this option. 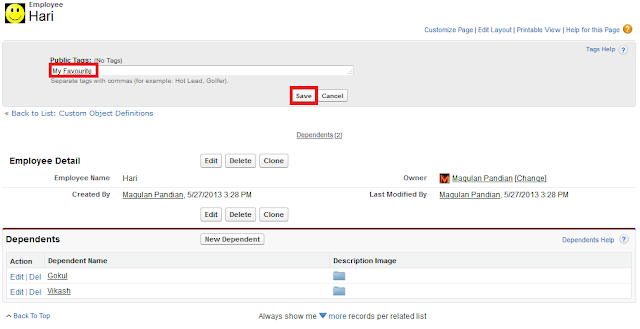 Evaluate the rule criteria each time a record is created or updated. If we want to trigger the workflow only when the record is created, we have to use “created”. If we want to trigger the workflow whenever the record is created or edited even though it has currently met and triggered, we have to use “created, and every time it’s edited”. If we want to trigger the workflow whenever the record is created or edited and previously it didn’t meet the criteria. How to assign Permission Set for multiple Users?